Henna is not instant. It's one of the beauties of the plant-based body art...its also unique because some of the success is up to you. For how to care for your freshly applied henna visit "Aftercare", to prep for your appointment, please read below. 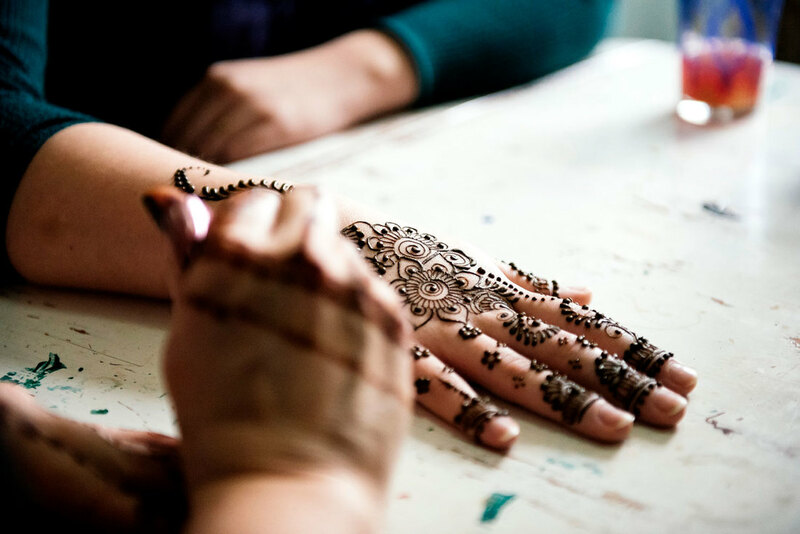 - Come with clean, dry, un-moisturized skin: if you're having henna on the body (shoulder, back, belly, head) it's best to avoid lotions for 24 hours ahead of your appointment. - covering scars can be tricky: sometimes they stain, sometimes they don't, and we cannot henna over open skin. ​- Henna-ing over tattoos isn't very satisfying, but they can be incorporated into the design.